Textile exporters have hailed the European Parliament's approval of duty free access .From 1st November 2012 to 31 Dec 2013 for 75 Pakistani items and hoped that passage of the waiver will lead to increase textile exports to the European Union (EU) by 30 per cent and will generate significant economic activity in the country. Good news for Pakistan�s textile industry. In order to allow Pakistan to recover from the tragedy of the 2010 floods, the WTO Council for Trade in Goods has finally approved a European Union (EU) waiver on customs duties for 75 items (mostly textiles) from Pakistan. The EU had originally offered this one-time facility to Pakistan and approached the WTO in October 2010 to seek a two-year waiver period on granting trade preferences to Pakistan for duty free imports in the European Union. These selected product lines amount to almost 900 million euros in import value to the EU or approximately 27 percent of total EU imports from Pakistan (� 3,3 billion). This package was designed by the EU in response to the humanitarian appeals from the United Nations (UN) for the devastation caused by floods which affected some 20 million people and nearly 20 percent of Pakistan�s land area, out of which about 160,000 sq km came in the category of near total devastation and 12 million people in need of urgent humanitarian aid. However, WTO member countries, like India, Brazil, Bangladesh, Indonesia, Peru and Argentina, and textile lobbies within the EU initially blocked this preferential package originally scheduled to be effective from January 2011. In view of reservations of these member countries the package was revised after consulting all the member countries and resubmitted to the WTO secretariat on January 20, 2012 after a delay of one year. The countries opposed to the package finally withdrew their objections, following the introduction of tariff rate quotas (TRQ) on as many as 20 products, rather than unlimited duty free access. The TRQs provide security to the competing countries that Pakistan will not be facilitated beyond a certain limited. In the original document submitted in 2010, the EU had proposed only eight items for TRQ. According to the package, out of 75 items, 20 will be eligible for duty-free import into the EU to a specified quantitative limit. The effective quota is 30 percent after taking into account an average of Pakistan�s exports to the EU from 2008 to 2010 plus a 20 percent cap imposed by the WTO to satisfy the opposing nations. The commerce ministry said the package would provide greater market access to Pakistan in 27 EU countries and would help revive a large number of factories which were not producing to their optimum capacity. 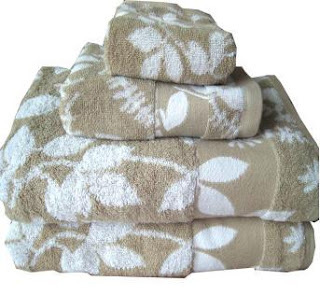 The products included for market access on the basis of tariff rate quotas are ethyl alcohol, cotton yarn and cotton woven fabrics, trousers, stockings, ladies garments, linen for bathrooms and kitchen. Different types of woven fabrics, gloves, t-shirts, track suits, curtains, floor mops and made-up articles of textile material will be importable from Pakistan without any quota and free of duty. The package after going through the EU Council of Ministers will be duly moved to the WTO General Council for formal approval the concessions could likely be in place by as early as March 2012. It can be argued that the selected items barring few do not promote value addition in Pakistani exports, as yarn and fabrics are the raw material for value added textiles of the European Union. Bed linen accounting for more than $1 billion exports from Pakistan to the EU is not part of the package. Pakistan is today a victim of extreme negative perception which is adversely affecting investment and its exports to the world. The duty waiver is significant because it means that the global community not only acknowledges the natural and man made calamities faced by Pakistan, but is eventually willing to assist Pakistan to overcome these hardships. This is an opportunity given to Pakistan to get back on the track. It has been realized by the world that an economically strong Pakistan is in best interest of stable world economy. Pakistan will be poised to qualify for the GSP (Generalised System of Preferences) Plus Scheme in 2014, which would allow Pakistani goods to enter duty free into the EU markets. The applicant country�s exports should not exceed 1% of total EU imports. The EU has sympathetically proposed to relax this condition up to 2% as currently Pakistan�s exports are above the 1% threshold. This is the prize Pakistan should be vying for in the near future.